Jan 15 2019- POSTED BY Naga the Farmer Comments Off on Farmers Fresh Zone – Farm to Home safe to eat vegetables! Kochi based Agri-tech start-up, Farmers Fresh Zone Pvt Ltd (FarmersFZ) has raised a seed round of funding from Indian Angel Network (IAN) and it’s maiden VC Fund, IAN Fund, led by Mr. Nagaraja Prakasam and P.K. Gopalakrishnan along with Malabar Angels and Native Lead. The investment will help FarmersFZ strengthen its leadership position in the existing market, bolster its geographical reach in the country and strengthening customer acquisition. Nagaraja Prakasam veteran IAN investor who led over 9 deals including Uniphore, Gocoop, Freshworld, Saahas zero waste, Neurosynaptic Communication s, SP Robotics, Carbon Masters, Nativespecial, Solaron will be taking the board seat. Founded in the year 2015 by software engineer turned Entrepreneur, Pradeep P S, FarmersFZ is a multichannel marketplace platform, which bridges the gap between rural farmers and urban customers to provide healthy, premium quality and pesticide-free vegetables and fruits directly from field to the table. Coming from an agricultural family background, Pradeep identified and realized the need for proper marketing of agriculture produce when he noticed some of his family members themselves finding it difficult to sell their produce at a reasonable price. This prompted Pradeep to explore the possibilities of e-commerce for marketing of the agricultural produce and thus conceptualized the idea of FarmersFZ. Talking about the capital infusion, Nagaraja Prakasam, IAN’s lead investor on his 22nd investment said, “One of the main reason agriculture is not viable to farmers is inefficient supply chain – merely 30% of what consumer pay goes to farmers. FarmersFZ ‘s unique model encourages farmers to use technology to track and use best practices and rewards them with better prices while consumer gets the complete transperency and traceability, so they know the farmer who is growing their vegetables and fruits, and probably visit them as well thus creating community commerce. Pradeep has done this very well that no one in the country could do it.That’s what intrigued me to invest. Currently, FramersFZ connects more than 350 profitable farmers and 10,000 customers. The startup further aims at increasing the scalability of the business in next 4 years by adding more 7 more cities in India, connecting 20 lakhs of customers and 25 thousand of profitable farmers. FarmersFZ is also working towards developing and creating an algorithm which can help farmers predict the income basis the produce, yield prediction and profit calculation. 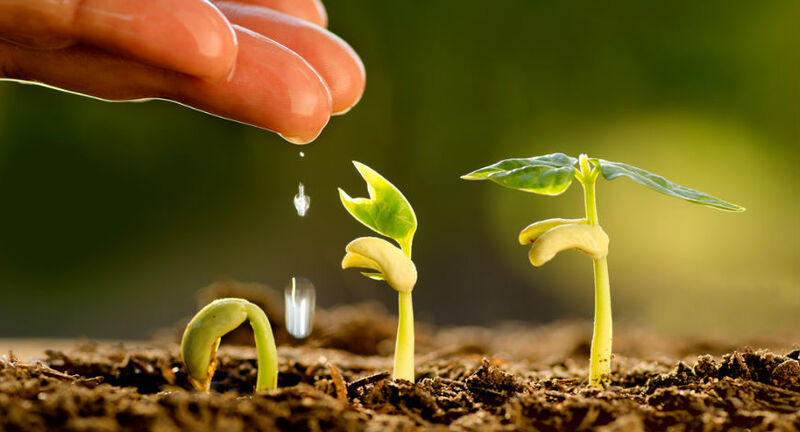 AgriTech industry in India has become a booming field with numerous startups working with technologies such as data analytics, machine learning and satellite imaging, among others, enabling farmers to maximize their output. According to a NASSCOM report, India continued to be among top six countries globally with the most deals in agritech (around $313 mn) as of 2016. The other top countries were the US, Canada, the UK, Israel, and France. The central and state governments are proactively pursuing policies to improve farmers’ lives in India. However, as per the NASSCOM Agritech report, only 9% of all funding in last 5 years was focused on growth stage start-ups. This emphasizes the need for Corporate and Government accelerators to help Agritech start-ups grow to the next level. With increasing interest from startups and investors to develop the space along with the government’s aid to improve the lives of farmers in India, the agricultural industry is all set to witness the next generation of digitalised growth.